The Yr 12 Formal is held after the final Year 12 exams in November and is attended by all Year 12 students, the Principal and Yr 12 teachers. Student dress is traditional formal wear. It is a celebration and fitting end to 12 years of education. The Yr 6 Graduation Dinner is held in the last week of Term 4 and is attended by Yr 6 students, the Principal, Head of Primary and Primary staff. It is a celebration and fitting end to Primary years of education. This event for the entire College, including parents and friends of our students, is held in Term 4. 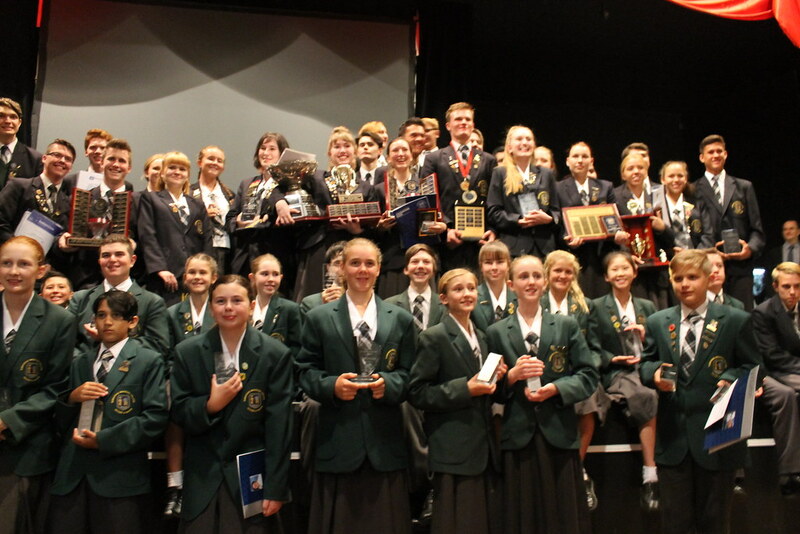 It is a daytime event held at the Arts Centre on the Gold Coast, honouring outstanding students in each year level. Yr 12 and Yr 6 partake in a graduation ceremony. Leaders for the following year are announced. Our Band performs at this important event.